Want to close out the National Cherry Blossom Festival right? That's what the Anacostia River Festival is all about. 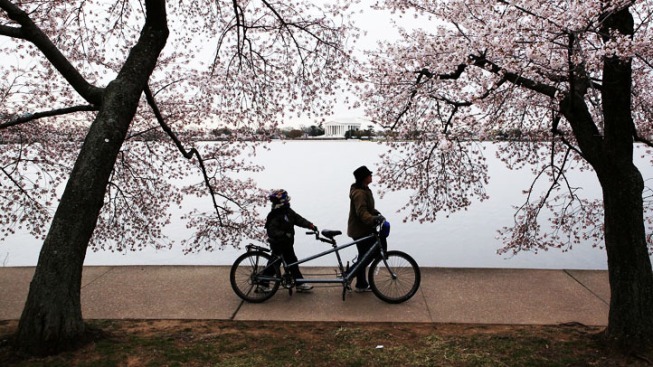 Coming up April 17, the Anacostia River Festival is an official closing event of the National Cherry Blossom Festival, offering a day of live music, a bike parade and plenty of events to help you get back to nature without leaving the city. The festival will offer activities for any adventurer or nature-lover, including an archaeology "dig," a bike parade, lawn games and creating bird feeders, wind chimes, recycled art and more. On the river, you can go kayaking, get boating safety tips from the U.S. Coast Guard, learn to paddle a canoe or pick up a rod and reel in a fishing demonstration. The event is free and will be held at Anacostia Park (1900 Anacostia Drive SE). The festivities kick off at 1 p.m. on Sunday, April 17 and finish around 5 p.m.
To sign up for the event or register to be a volunteer, go here. See the full schedule events online here.